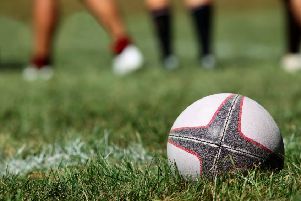 Rotherham Titans today begin their preparations for probably the biggest match of the season-the South Yorkshire derby against Doncaster Knights on Sunday at Castle Park. Sunday’s clash, which is being broadcast live by Sky Sport, is of vital importance to both sides: Rotherham have lost their last four Championship games and have dropped to ninth, three from the bottom, and Doncaster, in top form this season,need to win to maintain their successful promotion campaign. Rotherham, who won the first derby this season by 30-23 at Clifton Lane in September, are now much more optimistic that they can reverse the current run of bad form resulting in seven consecutive defeats in all competitions. Although Rotherham lost 43-24 to Leinster in Dublin on Friday, coach Mark Jones was encouraged by the performance: “ We scored four good tries and have now scored seven in the last two games. We played really well.Leinster were very complimentary and said we were the best side they’ve played this season. “ Our players coming back from injury, such as Jordan Davies, Darran Harris, Toby Williams and Joel Gill, looked good and I was pleased with the way the less experienced players such as forwards George Oram and Josh Redfern performed. “ The pack was so much better in the scrums and line outs and carried the ball well and if it had been a Championship game and not one in the British and Irish Cup against the competition’s best side, we would have won. Barney Maddison, one of Rotherham’s best forwards, injured a knee against Leinster and may be unavailable for the derby, but will be receiving treatment throughout this week to give him the best chance of playing.